Chows group strives to instill pro-social skills, also known as “People Skills”. 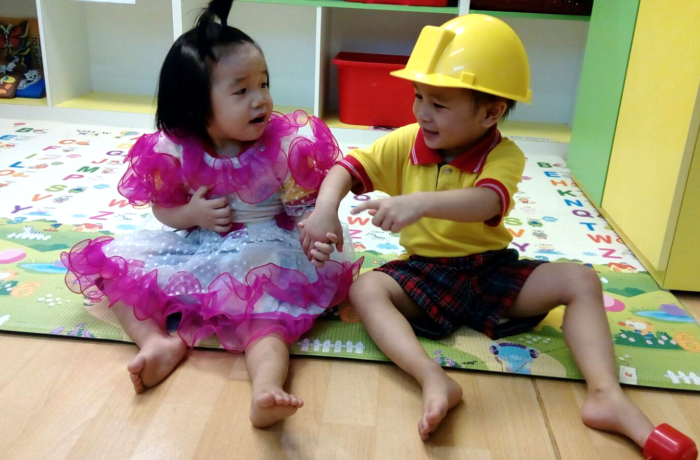 We start with the toddlers becoming aware of their classmates and move on to encouraging simple sharing activities. Your child will be encouraged to wave goodbye and take turns stacking blocks. These simple activities are the stepping stones for the later preschool years, when children are developmentally ready to share.